We call a lot of bikes ‘works of art’ on Pipeburn, but this one truly is. 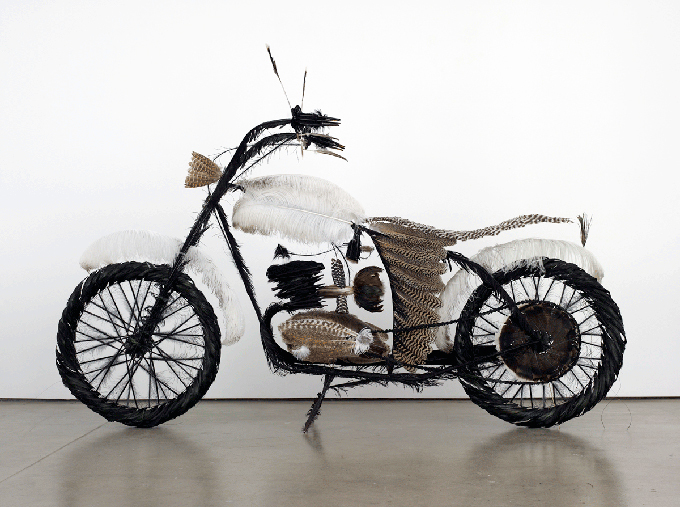 Built by American artist Tim Hawkinson, this life-size bike is made completely from feathers. Needless to say, he didn’t end up with greasy hands building it – unless the birds were from the Gulf of Mexico. Update: We have to give the prize to Moto-Bunny for using every bird pun know to man in an amusing story. Thanks to everyone that commented – you gave us many laughs.